For those of you who missed the summary on Floral Daily, an interesting study on pesticide labeling of ornamentals was just published by researchers and extension specialists at Michigan State University(1). The MSU team found that people who buy ornamental plants (both indoor and outdoor) obviously want healthy, insect-free plants. 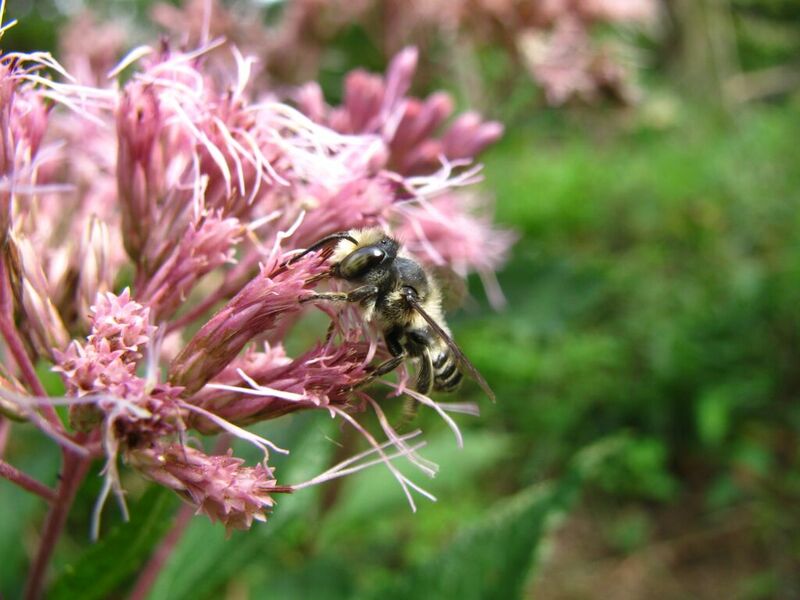 But, they also found that consumers value plants labelled specifically as “bee friendly”. Consumers in the study were willing to pay anywhere from $0.13 to $1.50 more per plant for “bee friendly” plants than those labelled “grown without neonicotinoid insecticides“. Bee foraging on a landscape plant. Photo by Dr. Elsa Youngsteadt, NCSU. Given all the hubbub about neonics in particular, why didn’t “neonicotinoid-free plants” resonate with consumers? Well, it turns out many consumers don’t actually understand the term. Of the >2000 people interviewed in this study, 57% admitted outright they didn’t know what it meant, and 11% thought the term meant produced would any insecticides. The MSU researchers found that labeling a plant as “neonicotinoid free” may actually have a detrimental effect on purchasing. 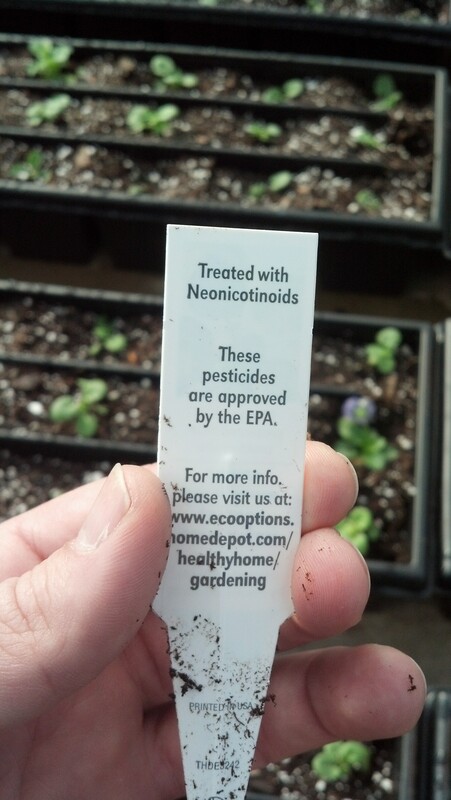 Plant tag from a major store indicating the use of neonicotinoid insecticides. Studies like this are timely, considering major box stores (Home Depot, Loblaws, etc.) are demanding labeling to satisfy public concerns. Information on which labels consumers best respond to can be used by growers producing their own labels. Additionally, this information can be factored into pest management decisions. 1. The original article can only be obtained through a University library subscription or by purchase from HortScience, here: http://hortsci.ashspublications.org. Or, I can tots get you a copy if you really want one.